Implementation of Pradhan Mantri Awas Yojana – Gramin has been approved by the Narendra Modi Government on 23rd March in a cabinet meeting. The rural housing scheme will help achieve housing for all by 2022 in Rural areas across the country. 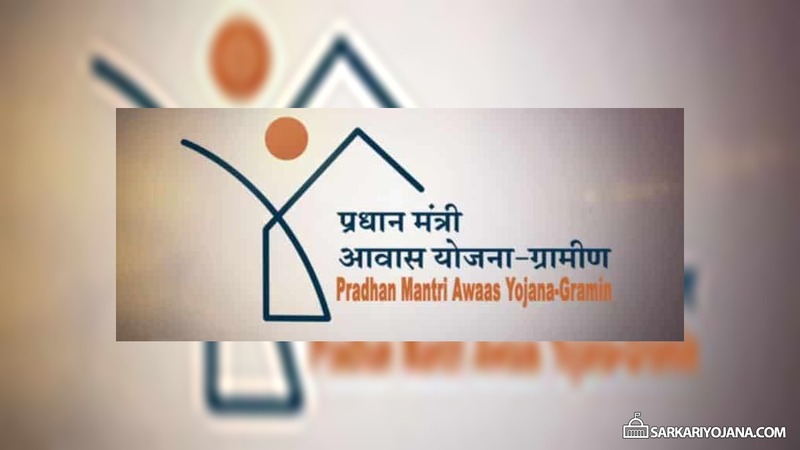 To address the gap in rural housing and in view of Government’s commitment to provide “Housing for All” by 2022, the scheme of IAY has been re-structured into Pradhan Mantri Awaas Yojana – Gramin (PMAY-G) w.e.f. 1st April, 2016. UPDATE – Number of homes to be constructed under PMAY-G has been increased by 33% from 3 Crore to 4 Crore by the year 2022. Read more about the revised PMAY-G targets. Pradhan Mantri Awas Yojana – Gramin will be implemented in rural areas across the country except Delhi and Chandigarh. Below are the highlights of the housing for all by 2022 – Rural. Government to construct 1 crore pucca (permanent) houses for the rural poor in the next three years. A total of 4 Crore homes would be constructed under PMAY-G in rural areas across the country by the year 2022. The cost of unit (house) assistance is to be shared between central and state governments in the ratio 60:40 in plain areas and 90:10 for north-eastern and hilly states. An allowance of Rs. 120,000 in plain areas and Rs. 130,000 in hilly areas will be provided for construction of homes. The unit size will be enhanced from the existing 20 sq.mt. to up to 25 sq.mt. including a dedicated area for hygienic cooking. Provision of toilets at Rs. 12000/- and 90/95 days of unskilled wage labour under MGNREGA over and above the unit cost. The beneficiary would be facilitated to avail loan of up to 70000 rupees for construction of the house which is optional. Special Projects to be sanctioned to states based on situational exigencies and special needs. NEW UPDATE: Home loans up to Rs. 2 Lakh taken in 2017 for maintenance or up-gradation of homes under PM Awas Yojana – Gramin will receive interest subvention of 3%. The scheme is also expected to generate employment in the rural areas, especially in the construction sector which is currently the 2nd largest employers in India. Narendra Modi on 31st December 2016 has announced new home loan scheme for PM Awas Yojana – Gramin beneficiaries. Under the new home loan scheme, the beneficiaries will be provided interest subvention of 3% on home loan of up to Rs. 2 Lakh taken in 2017 for new house construction or extension of housing in rural areas. Find complete details about the PMAY-G home loan scheme 2017 such as subsidy, interest rates and EMI calculation. After this, the list of eligible candidates will come out and be categorized into two sub groups. Houses with kutcha wall – Houses where the material used for wall is Grass/thatch/bamboo or plastic/polythene or mud/unburnt brick or wood or stone not packed with mortar. Houses with kutcha roof – Houses where the material used for roof is Grass/thatch/bamboo/wood/mud or plastic/polythene or handmade tiles. The complete draft of the PMAY-G can be downloaded from this link. Under the parent scheme, PM Awas Yojana – Urban, the government aims to develop 20 million homes by the year 2022. The government so far has sanctioned the construction of more than 5 lakh homes under the scheme. how to apply PMAY -G rural ? My father want to construct new home for us but my father is a farmer and our family income is completely depend on our field. But in this PMAY scheme I’m getting information only about urban area. We are in need of financial support so please tell me how to get the benefit of this scheme. We are staying in rural area so tell me how get this scheme application. i am belong poor family i want construct a hose but i have not store money .Please tell me a write idea. hi sir, my mother is working as a sweeper in tamilnadu electicity board office but she is earning only Rs.6000/month. Is she eligible for subsidy in pradhan mantri awas yojana? Varsha Brahmane: Sir from 11 yrs I am living on rent home.l have two daughters and one son. They are in school.Paying School fees+rent is becoming very difficult for me.I am fulfil our needs. I request you if I even have my own home by your help. sir mere pas ghar nahi hai mai meri maa mere do bachhe bohot hi musibato ka samna kar rahe hai yaha ke panchayat members ke pass itne minnate karne ke bad bhi koi kuch nahi karta.sir Mae bohot hi musibat me hun.please help me. Mai harayana state ke bhiwani district ke gaon sikenderpur ka rahne wala hu. Govt. Ki awas yojna ke taht hmne Ghar bnane ke loan ke liye apply kiya hua h. But abhi tak koi update nhi mili h. Please reply ki kb tk loan approved ho jayega. Sir ,My purchased apartment flot at rural areas,is it eligible for pmay subsidiary? Mai pradeep tanti pita arjun tanti gram nondih post tarwan panchayat mahugain prakhand wajirganj distrik Gaya bihar ka niwasi hun. mere pass rahne ke liye ghar nhi h.mai ek majdur aadmi hu.mera BPL me naam h,lekin aaj tak hume sarkar se koi anudan nhi mil paya h.jiske pass et aur chat ka mkan h,phir bhi wo mukhiya ko 25000 rupya dekar awas yojna ka labh uta rha h.aur jo mukhiya ko paisa nhi deta h usse iska labh nhi diya jata h.atah sree PM ji se nibedan h ki hume bhi ek awas dene ki kripa kare. Hamare dist-purulia (west bangal) lagda gp villge-Baghudih:hamare gao ka rasta itna kharap hai ki agar koi bimar hai to use hospitel lejane ke liye ambulance bhi nahi ate to plz sir kuch kijia we waiting. gram Kullu post paipakhara distik Rees m.p. Thank you for sharing this article, its very informative..
Sir Hamara ghar goribo ka.isliye main sms vegra hoo lakin Mera gao me jo admi kam korta ha o mere pitaji ko Pmay nehi mila sir ap kuch kiye jiya Hamara Mobile number 8250994381.or Account Number 1276010616744. For the common need of shelter , a proposal of cost effective Eco friendly Sustainable Technology based planning with detail estimate can be asked from the enterprising people of my country where from we may get a path of construction of shelters (gramin) for every one of Rural India. sir. Iam john timung .mai apko chahata hu ke mujei thori help chahiya ke,( i want to be like you ). main WB se hu.mera naam PMAY list me hai lakin mujhe makan nahi mil raha hai. rehene liye bahut asubidhaa hota hai.mere liye kuch kariye. human ko loan que nahi mileage KCC ka. PMAAY ki list me Aniyamit trutia hai jisme Jinke nam hone chahiye unke nam hi nahi hai Es Yojna ka Labh Jach ke Bad dena chahiye ……Bhari Brastachar ho raha hai jis par Sarkar Brastachar hai Esi liye es par dhyan nahi de rahi hai .. I have taken aloan from HDFC bank on 2016 .can I convert it to pmay-gramani yojana. Me gram madiya distt.tikamgarh m.p.ka rahne bala hu. Hamare gao m Jo jinke awas aye h wo pahle se uska labh le chuke h fir bhi dowara awas a gya or jinke abhi name aye h unse paise mang rage h .
Respected sir, I am Balu Laxman Shelar from Pune Maharashtra I have purchased my first home in rural area, and I am low income person, I have take loan from Shubham Housing Finance Company at highest ROI, in July 2014, sir please tell me I eligible to avail subsidy of PMAY, please guide me. HOW TO APPLY SCHEME. IN MY HOUSE CONSTRUCTION. PLEASE SIR…..
Dear sir i shivnath ram vill bhilma po semoura ps kandi dist garhea jharkhand ka niwasi hoon mahasway mera mitty ka ghar hai jo barish me gir gya hi or mera pradhan mantri yojna mein mei name nahi hai please help you sir. I tried for this home loan in two banks, but they did not give any hopeful information, They are saying so many conditions..in one bank they said normal house loan only better than PMWAY and they ready to give normal house loan only thy did not ready to give this subsidy loan..and one more bank informed you have to stay with in 15 km distance from this branch then only eligible for this subsidy loan..,.how we can stay like that.now am hopeless . If an Indian Gov ready to give developmental policies..but the mediators are not ready to implement those.. after application if we called they did not response even..then how we can achieve our dreams? मेरे प्रधानमंत्री दिब्यंगों के प्रति काफी सहानुभूति दिखाते हैं! मैं उनसे पूछना चाहता हूं कि क्या कोई दिब्यंग अपना घर स्वयं बना सकता है? क्या वह भी अमीरों के लिस्ट में आता है? उन से मेरा अनुरोध होगा कि मेरे प्रश्नों पर बिचार करते हुए प्रधानमंत्री आवास योजना से सभी दिब्यंगों को जोड़ने का कृपा करें . sir my father is a very poor man I have no any house sir please help me and give me some money. How can find PMAY (rural) priority final list (full) in my District/p.o./G.P. माननीय प्रधानमंत्री जी प्रधान मंत्री आवास योजना में हमारा नाम नहीं आया है और हमारे रहने के लिए पक्का मकान नहीं है जब सरपंच से बात करते है तो वो बोलते है लिस्ट में नाम नहीं है अब हम क्या करे नाम नहीं आने वालो का कोई फॉर्म भरा नहीं जाता है नाम prhlad gupta गाँव beerpur तहसील uchehr जिला satns m.p. I am writing this mail in behalf of Mrs. Devaki Devi W/O Late Rajendra Ram Add:- Vill- Kharijama , PO- Chandhari, PS- Islampur , Distt :- Nalanda State – Bihar pincode – 801303..
Sir i am a widow and belongs to a very very poor family . I have no any son to take care and to earn any money. I am approx 60 years old widow women. But i cant got any benifeciary of Pardhan Mantri gramin Awas Yogena. And no one is going to help me. All the rich person in my panchayat got the benefit of PMGAY but still now i don’t got. And when i ask to our Panchayt Mukhiya he always told that i don’t know nothing and there is no any name of yours. Sir my home is also made of Kuttcha House . Means Mud and etc. And no one is going to help me. well i support modi ji but i find this way of corruption and rural will not get any benefit as the process it very complex. Better don’t give any and don’t drive the rural people nuts. Sir I am from west Bengal.I am from a poor very family.my house is fully wet in rainy season. mai hemapur vikashkhand phoolpur, tehsil phoolpur Allahabad ka nivasi hu. Mai es yojana Ka patra hu lekin gram pradhan aur Anya officers ke rukavat ke karan Mujhe abhi tak labh prapt nhi huva hai. Maine eske liye DM se 4 may 2017 ko sikayat bhi kiya aur ve karyavai bhi kiye aur unhone 11 June 2017 ko nistaran ka date bhi diya lekin abhi tak Kuch samajh me nhi aaya ki Kya ho raha hai. Aapse request hai ki Aap es par karyavai karke Mujhe aavas dilane ki mahan kripa Kare . ami jani ami j eto somoi niye amr kotha bollam hoito er kono dam nei sir. amra sotyi onek gorib amr kotha apnake janalam karon amra varatbasi r apni holen amader pm. sir my contact detail- prasenjit hazra. vill-santoshpur,p.o p.s- kulpi,743351, south 24 pgs. PMAY G ID SE STATUS KAISE CHECK KIYA JATA HAI. i am very poor family…i have not home..i live in odisha..dist..boudh..block..boudh..po..rushibandha..p.s..manamunda..g.p..manupali ..via..bounsuni..at..digi..pin..762015..i will pmay you..give me a pmay…. i there for request you..to grant me..and..please give me a pma..home..
respected modi ji my elder brother belongs to a central govt job but he is not give concern to my family.due to this reason my family is not able to get this pmay scheme.so sir please do something my family…. Sir ami west Bengal er manus.amar economical condition is very bad.so i don’t repare my house.in rainy season amar Bari kada hoi.please help me sir………. . I am very poor family…I have not home..I live in Tripura..at Kanchan mala..village..P.O-Kanchan Mala. PS-Amtali. Block-Dukli RD. Sub Division-Sadar. Dist-West Tripura. Pin-799130.I will pray you…give me a PMAY..
People are asking for BRIBERY Rs. 15k to get this yojana. Some people are getting 2-3 House and Like me we are nothing to get, Because i have no money for Bribery. Still we are living in MUD HOUSE. I lose my hope, that i will get any govt yojana benefits in thin Life. I promise from Next Election Me and My Family will not go for Voting. Because here in this society MONEY is everything. Address :- Nadia . ranaghat. Dhantala. How can I Apply in PMAY Scheme? manniy pradhan mantri mhodey sardar pirnam me ak garib parivar se hu meri syadi bach pan me kar di the jo mere pati ne muje chodkar dusri syadi kar lihe or ab me apne pitaji ke gar rerhahi hu vo mere garvalo se 7 lak rupye mag raha he mera jina muskil ho raha he please muje koi rasta batao. What is processure to fill the Form.Everyone is asking so pl get the direction for about this Yojna.Bank is not supported. my name is prakash dangi. I belong to a poor family so i want to pmay plz help me.I have a bpl card so if you focaus then i got a pmay. becuase you can do anything. I don’t have proper awas. I am writing this mail on the behalf of Devaki Devi, W/O:- Late Rajendra Prasad, Vill:- Kharijama Panchayat :- Chandhari Distt:- Nalanda State :- Bihar , Sir I am a widow and I have no any son and I am living a hail life . my name is in BPL list but I never got any type of government help from any org. I am living in a kuttcha house which is fully broken. But I have nit got any govt. benefits such as HFA Program or Indra awas Yogana. In my panchayat the rich person got the benefits of HFA but I am poor but I don’t got any benefits . Kindly do the needful . amar ekti ghor dan korurn. amar arthik abostha motei valo nei. apni joto tara tari parben . apni amar abedon ti Grohan koriben.sir amar Arthik abostha khubi kharp. ke niye thakte khub kasto hoy. sir apni apnar PMAY Ghor amake den. amar sobai apnar kache chiro kritaggo thakibo. Apnar Desher ek gorib Nagorik. saw poribar khub uopokar pai. I already applied For PMAY CLSS.Could You Guide me What will be the next step after that survey Id Generated. BEcause I don’t know who is take this application and What will be process for next step. i am from vadodara location. Hum Howrah jila me rehenebala hoo. Humara paribad “AAY” catagori ka ha. but humlok ko abhitak pradhan mantri awas yojona ka aupalabdh nehi Mila. Please sir accept my request and thanks to you. 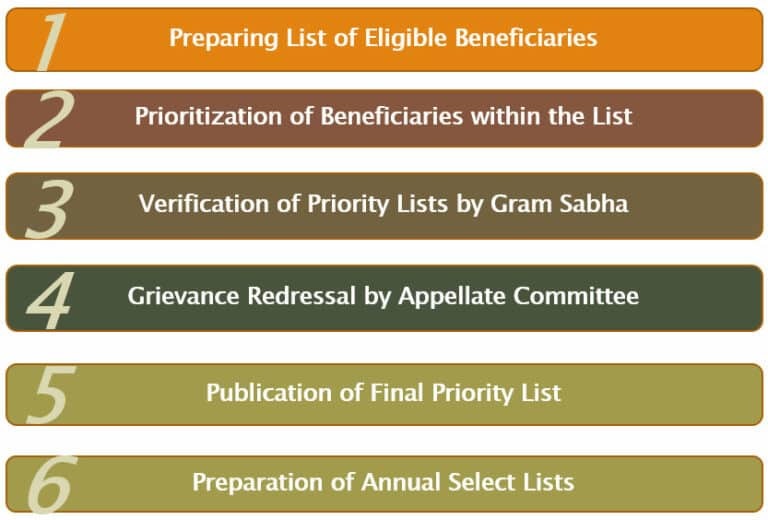 Yojana – Gramin (PMAY-G) | List, Eligibility, Application Forms <Liked it! Sir mera name dileep pita aapsingh gram kuradia block nalchha cost dhar madhypradesh is hu me arthik rup as kamjor by jisse me apna that banane me asaksam him. Kripaya mujhe ghar bananeke liye protsahan diya jaye yahi . sir i am very poor .my father is a heart peisent….verry hope fully …sir help me and give me a pmay(g) house……sir plz help me …. an assortment or maybe a judgment enforcement agency without having to be an attorney. and from any disability pensions or allowances. With the passing of Fair Debt Collection Practices Act in U. Sir Help me. my Home Viry Poor. is excellent but with pics and clips, this blog could certainly be one of the best in its niche. Made pass koi home nhi h .
As I ADEO n field officer this scheme is comfortable n needy beneficiary but what happened in the gram sahba if needy fellow praposed their name n loan should be sanction N the amt. goes direct in their bank acc. he take out that amt. N alible to made or some time neglect to made the HOUSE in such case we all field officer wonder him/her to use of money in that house. My oppinion is that the control of amt. by gram sec. SURPANCH n body of gram subha who suggest her/his name. Then this scheme is very much imp. for needy family. NOW in this modern youth 70 to 80% of people live in kutcha n grassy hut. Manniy sir may garib privar say hu,mera Adhar card No.869925756953.Hai please mujey Aapki yojna may Awas deney ki krpa kery. P.M.C.No.233,Malavni colony No.6th Malad (west) Mumbai 400095. Ami Hasanujjaman Molla S/O Iyad Ali Molla,vill-Hossainpur, P. O-Nurpur, P. S-Minakhan, Dist. -North 24 Parganas, Pin 743456,West Bengal,India .amar name pmay-g list a achhe. Gram sobhar hate kono dayitto na rakha valo, karon amar kache member o tar sangopangora Rs. 10000/ cheyeche. Ami khub gorib. Ami taka na dite parle ki bari tairir taka pabona? Anchol CHAMPALI, Sansad 2. Ami manoniyo mukhha mantri Mamta Banarjee dristi akarson korchi. How to apply for pmay scheme? ham logo ko abhi tak kisi yojana koi bhi labh nahi mil h.
sir webside kaya hi pradhanmantriyojana ki ? I am a poor man who lives in a hut. I would request you to kindly allot me a flat under Priminister’s Housing Scheme, I am leaving in Khejuri, Purba Mednipur. Kindly enlist my name in the possession list. want pradhan mantri gram awas yojana list(pdf file) in west Bengal, district SOUTH 24 parganas block, SAGAR,Muriganga 1 gram panchayet. I am very poor studen ,my father poor farmer ,Plz help me.Only not my father -this area 75% poor.so SAR plz help me.Address-vill+p.o-maipith Nagenabad.p,s-maipith coastal.pin-743383.dist-south.24,pgS.STATE -W-B.PHON NO-9547622460. i am maheshkumar I loveno emplomant. I’ am Hementa Kumar Brahma.I have no emploment.Please help me. how to pmay-g rural benifisari name list .by internet becouse political issu. I want PMAY-G beneficeries list through my e-mail. Plz, send the beneficeries list the same. I inhabitant of Canning-1 BDO. under the district of south 24 pgs, state West Bengal. Sir pls link (pmay-g)app mobile no 9735706486.
please please please tell me how can i get murshidabad awas yojona list pdf file. thank yo so much sir. How can I get pmay_g list of purba midnapur? sir, I am very poor and bpl candidate so wished you tthat How can I get the house? How can I gate name wise beneficiaries list? I AM DHANAPATI MAHATO AND MY UNCLE RAMJATAN MAHATO. OUR BPL SCORE IS 24. 24 SCORER HAVE ALREADY GOT OWN HOUSE .MY FATHER IS DEAD.OUR FAMILY MEMBER IS NINE.WE HAVE ONLY TWO ‘KANCHA’ HOUSE.PLEASE SIR DO SOMETHING……..THANK YOU. I want Pradhan Mantri Gram Awas yojana list(PDF file) in west Bengal,district Purba Medinipur,block Contai-3,Bhajachauli gram panchayat.because gram pradhan and gp office has not published any list PMAY-G.I am very poor man and Sc and not get any job .So please look in to the matter . MODI SARKAR ACHHA KAM KAR RAHI HAI LEKIN HAMARE DESH KE CURRUPTED OFFICERS OR LOG NAHI CHAHTE HAIN KI HAMARA DESH AUR DESH KE LOG TARAKKI KARE.YE CURRUPTED JAB MAA KE PET ME THE TAB INKE PAPA INKI MAA KO NOTE AUR SIKKA KHILATE THE ISLIYE PAIDA HOTE HI PAISO KI AADAT LAG GAYI HAI AUR BINA PAISA LIYE KOI KAAM NAHI KARTE HAI. I am chandan jana gopal chak iam a middle class man. sir,amar name surajit poria, amader akhane jader boro boro bari ache o jara bari peyeche PMAY-G te name ache.athacho amar babar kacha bari o garib hoya sateo PMAY NAME NEI.JATE PRAKITO GARIB MANUSERA AR SUJOG PAI TAR BEBOSTA KORBEN. I want pradhan mantri gram a was yojana list(PDF file) in west Bengal,district purba medinipur,block bhagwanpur 2,mugberia gram panchayat.bcoz gram pradhan and gp office has not published any list PMAY-G in gram sansad. I want pradhan mantri gram awas yojana list(pdf file) in west Bengal, district pascim medinipur dantan-2 block, porolda 6 gram panchayet. Bcz gram pradhan & G.P office not published any list PMAY-G in gram sansad. How i get the list of pradhanmantri awas yojana(gramin) of purba Medinipur? Please help me. Sir apni amar pronam naben apni kamon achan . I have Jda approved affordable plots near mahindra sez Ajmer Road Jaipur Before Toll Plaza. Plot Size 100 sq yard at Rs 775000 and plot size 111.11sq yard at Rs 861000. Sir i went to pmay list. selection of beneficiaries through secc.2011 is not applicable at all.Human being status is change for each and every year. I want pradhan mantri gram awas yojana list(pdf file) in west Bengal, district purba medinipur contai-1 block, Mohishagote gram panchayet. Bcz gram pradhan & G.P office not published any list PMAY-G in gram sansad. The survey is not also correct. Is it the sign of achha din? Modijee goverment me very very thanks de rahahu jo naya scheme aya he pmay-g yuha per mene name list nehi aya he mene ak poor man hoo. mene help ke je ye modi sir.Naya list se Name likhaneki lia panchayet karmi or panchayet pratinio sabi log janata se ropia mangate hai islia mere name 2nd list me nahi ayegi kiou me to roupia nahi di paye thank you so muche. How to accommodate those people who are basically houseless all through their lives and make their daily living hawkery, rickshaw-puller, betel shop , transgenders,bargadars etc who live somehow in a rented house of sorts ? I want pradhan mantri gram awas yojana list(pdf file) in west Bengal, district purba medinipur contai-1 block, Raipur paschimbard gram panchayet. Bcz gram pradhan & G.P office not published any list PMAY-G in gram sansad. I want drist wise pmay list in west bengal. Mere naam pmay list por nehi hai. SECC-2011 se o nehi. I am a villager. I have not pucca house. How can i get a pucca house? I am not a pmay consumer.But l am a needy person.I have not pucca house. How i get a pucca house in pmay? I am a villager. I think awas yojana is necessary but one person got a house but next year his younger brother also get house again this not fair only wastage of money a needy person not got home .so please insure it . Modi goverment me very very thanks de rahahu jo naya scheme aya he pmay-g yuha per mene name list nehi aya he mene ak poor man hoo. mene help ke je ye modi sir. thank you so muche. But there is no mean to give money for making home which already having a big building of 5 to 6 rooms. If someone interested I will definitely share those people’s list.